The E.A.R. 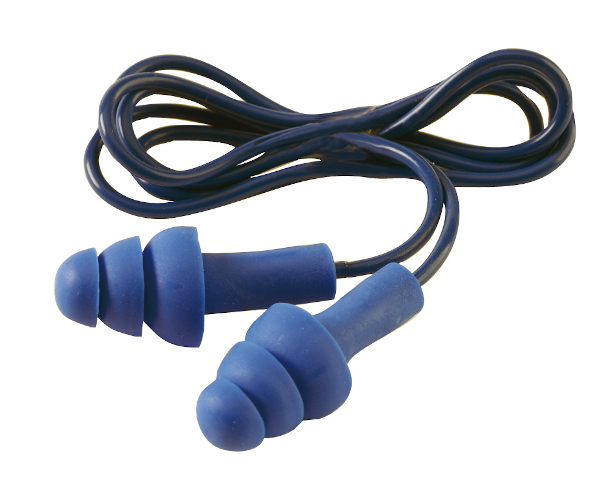 Tracer pre-moulded ear plugs are made from silicone and solid polymer cord. They are fully detectable thanks to the metal ball in the caps. Triple flange, flexible and adapted to the ear canal shape to insure triple protection against noise (SNR 32dB). The plastic stem enables a quick, clean and optimal insertion for a maximum protection. Ideal for food industries, chemicals... Colour : blue. 200 pairs in a box.